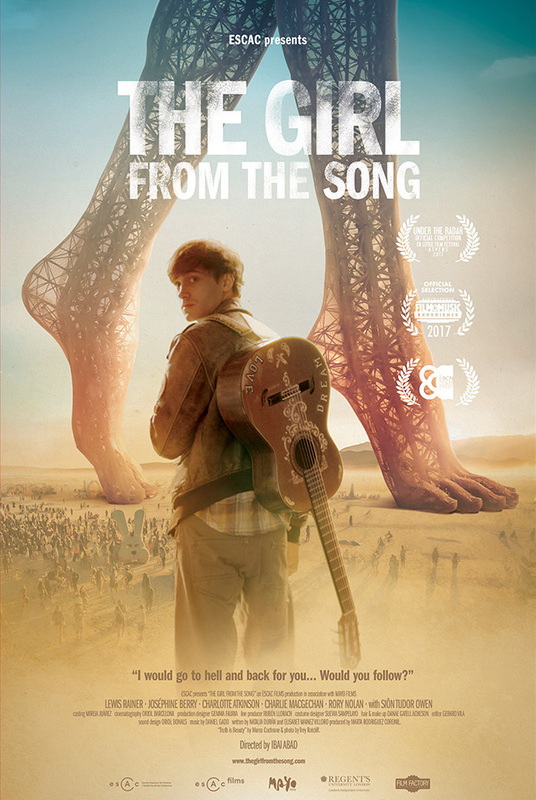 THE GIRL FROM THE SONG is a frenetic and surprising love story packed with adventure, dreams, risk, and all the music and magic that permeates one of the most special events: Burning Man. More than a simple love story, this is a journey of cultural and musical references against an impressive backdrop of stunningly beautiful photography, proving the talent of first-timer Ibai Abad. Eric is an aspiring young musician living in London. His life changes when he meets Jo, an impulsive, fun-loving, beautiful girl who is Eric’s opposite in every way. Needless to say, they fall in love. But then one day, Jo disappears. Eric finds out that she is at Burning Man with her ex, Alex, and her troublemaking friend Penelope. Fearing he might have lost her forever, Eric embarks on a chaotic journey to win her back.